Welcome & Housekeeping: Jon David and Beau huddle safely in the Country Squire during a torrential downpour and tornado watch. God bless their dedication! Jon David’s wedding is coming up and the bachelor party is this weekend! Pay attention to Beau’s twitter handle for streaming announcements. You might just catch Jon David blending. We wish them a safe and fun weekend! Sadly, Jon David will have to bring the cigars himself. Beau discusses briefly his secret plans for the CSR show whilst Jon David is away on his honeymoon. CSR Club Members have the skinny. Randall Morgan shows up at the shop to attend the live show and brought gifts! Ashton’s Brindle Flake from 1999 for JD and a Jar Jar Binks action figure for Beau. Okay maybe a waterproof pouch for Beau too. And some whiskey! Man, what a guy! Thanks to Randall! Next on the docket. Mark Fresa (sp?) notified JD that at Gulf Stream Park in Ft. Lauderdale Florida on Saturday March 3rd, a horse named The Country Squire came in 10th in the 11th race of the day. We need to all come together, and rally around this special horse. Send your good vibes. We need to keep him out of the glue factory! Triple Crown buddy! Triple Crown! One last thing, last week I missed one new CSR Pipe Club member and we have one this week too. So I’ll mention both this week! Jace Wilkinson and Adam Larkin! Lastly, Benjamin Snell joins on as a Patron. Thanks gentlemen! Topic: As we still reel from the loss of McClelland as a company we know and love, we pivot this week to a brighter future and visit some tobaccos that might be worth trying again, or perhaps trying for the first time, in our individual quests to find new favorites. It’ll be good to explore the world of tobaccos outside of McClelland. There will be no perfect matches or direct translations, but these will be some tobaccos that we might keep in mind as we try to find comparable substitutes. McClelland was the King of Virginia tobaccos. 5100. Christmas Cheer. 40th Anniversary. Hard to match. Let’s take Cornell & Diehl as a starting example. Red Virginia Ribbon. Not aged the same way, but nice ribbons. Mellow. Toasty. Red Virginia Cavendish. Semi-sweet, nutty, toasty flavor. Chunky cut, kind of like 5100. Also makes good blending tobacco. Might be a good substitute for that purpose. Another example is Lane Bright Virginia. Inexpensive. Tasty. Medium bodied. Buttery. Bit of nicotine. Slow smoker. Dark Star is another venerated McClelland VA. Sam Gawith Full Virginia Flake might be worth checking out as a replacement. 40th Anniversary, similar to Christmas Cheer, is another tough one to match in recommendations, but one that might be worth trying is Mac Baren Navy Flake. While it might not be VA-forward, its body and strength might remind you of 40th. Peter Stokkebye Luxury Navy Flake is something that might be worth trying as well, especially since it’s inexpensive and sold in bulk. Maybe you’d like to try some different cigar leaf blends to try something comparable to Dominican Glory? James Fox The Banker’s Mixture might be a good replacement for that. For heavy Balkan and English mixtures, a nice recommendation that is still available despite it having Syrian Latakia, is Balkan by Brebbia. High percentage of Latakia... maybe 40 or 50%. Smooth, silky, soft, rich. Delectable if you are a Latakia fan. Balkan Sasieni. Relatively easy to get. Intended to be a nice substitute for Balkan Sobranie. What about Frog Morton?! No real substitute here, but recommendations for the croaked frogs to follow! Rattray’s Black Mallory. Black Cav, Latakia, Turkish, VA. Cornell & Diehl Mississippi Mud. This has Cavendish, Latakia, and Perique. Frog Morton Cellar is going to be a tough blend to replace, but it might be worth it to you to hunt down some Esoterica Pembroke (Bagpiper’s Dream by Rattray is the poor man’s Pembroke according to Gene Bowker). No whiskey, but it’s got a cognac top-note that might be pleasing to your palate. If you’re in the market for an English hybrid, The Country Squire’s own Hunting Creek might be worth checking out. Also, Shepherd's Pie at the Squire is the closest they’ve come to matching Frog Morton. Great job on that blend Caleb! Last thing we’ll touch on is one of the Aromatic offerings by McClelland. Tastemaster. Definitely a best seller at The Country Squire. Chocolatey. Caramely. Confectionary. Adjectives! Very sweet and smooth. Jon David is proud to recommend the Squire’s own Tobac du Chocolat in its place. Cornell & Diehl’s Chocolate Cavendish. Sutliff Creme Brulee. Some nice dessert-ish offerings for those that like something on the sweeter side. If you have some suggestions, or if you vehemently disagree, let Jon David and Beau know. They want feedback, good or bad! Pipe Question of the Week: Raphael D. Gomez writes in this week saying “I wanted to know what you thought about using radiator-type pipes in cold weather. Pipes like the Falcon, Kirsten, Hector Wiebe Radiator. I know they have briar bowls but with the cooling and wicking action from the radiator, I wonder if they would be especially good in the cool due to the more extreme temperature differences.” This is definitely one of those situations where a metal pipe will come in handy. Cold weather is rough on pipes all around, especially briar! Radiator pipes are great for strange weather situations since they are so durable and very light. It might not be the pipe you ultimately prefer, but as a substitute for a briar in cold weather, they are absolutely perfect. Quick Fire with the Squire: Comin’ in from Benjamin McMullen. The topic is “areas of history you would like to learn more about.” #1 World War 1 (JD & Beau) or World War 2 #2 Industrial Area (JD & Beau) or Atomic Era #3 Medieval Europe or 15th Century Asia (JD & Beau). They both selected the same things! Benjamin you win! I don’t know what, but you win! Congratulations! Listener Feedback: Drew Ingram writes in. “Quick question gentlemen...will you be doing a St. Patrick’s Day Special? Please keep up the good work. I love listening to the show whenever I can.” A good idea, but we’ll see! It has legs! Brian Parent (sp?) writes in “Hey gang! Thanks for the great show. Keep it up! Never miss an episode and I was truly bummed to hear the news about McClelland especially because they blend some of my favorites. Maybe this creates an opportunity to do an episode where find some similar in bulk and tin blends like Frog Morton, etc.” Brian, great idea! Just rewind this episode! Hope you enjoy it! Ending & Wrap-up: Well dang, now my keyboard is broke and my fingers hurt. Lots of great tobaccos to try after this episode! 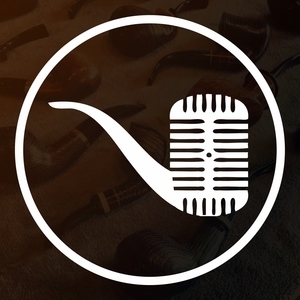 Please check out the show sponsor websites to learn more about them, and please consider joining the Country Squire Radio Pipe Club. I’ve provided a link to Patreon below as well as show credits, twitter handles, websites, emails, and times. If you have not done so, please consider writing an iTunes review. Great way to support these fantastic gentlemen! For more fun, check out the live show on YouTube! (https://www.youtube.com/watch?v=JTAKnz1AC7k) Anyway, let’s go have a night. Also Russ Hicks, I am coming for you. Give me your cellar. Give it to meeeeeee. The Tin Society (https://tinsociety.com) - use the code SQUIRE to get 20% off your first month’s box!